The best way to get to know a community is by scheduling a tour. 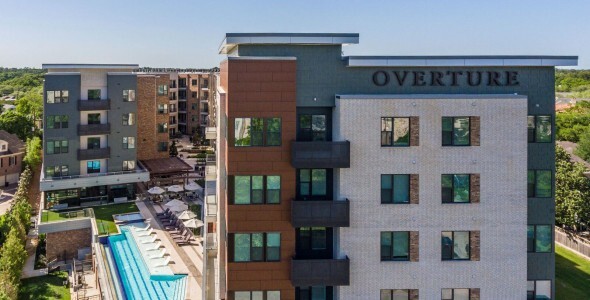 See the facilities, meet the staff and residents, and get a feel first hand what it's like to live at Overture Tanglewood 55+ Apartment Homes Independent Living. Live the active adult 55+ life you've always dreamed about! Overture Tanglewood 55+ Apartment Homes is a 55+ active adult community specifically crafted with your convenience and comfort in mind. We have hand-selected a unique array of resort-style amenities and services that are designed to cater to your every want and need. And with all of your home maintenance taken care of by our friendly staff, you will have plenty of time to enjoy the finer things in life. So whether you prefer a day lounging on the pool deck with neighbors or an eventful afternoon of shopping at The Galleria, Texas’ largest shopping mall, this location is sure to satisfy your every whim.